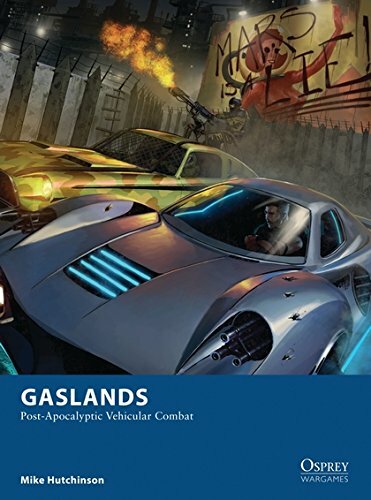 Shoot, ram, skid, and loot your way through the ruins of civilization with Gaslands, a tabletop wargame of car-on-car destruction in a post-apocalyptic wasteland. Players control small fleets of armed vehicles in battles for resources, dominance, and survival. 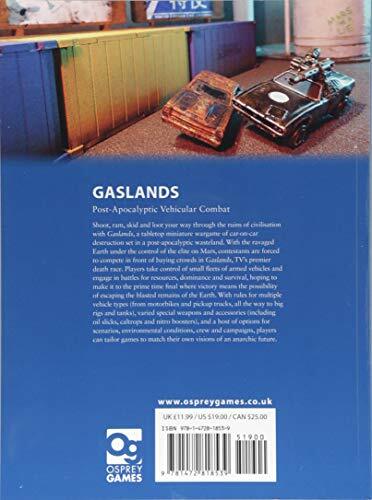 With rules for multiple vehicle types (from motorbikes to big rigs), varied special weapons and accessories (including oil slicks, caltrops, and nitro boosters), and a host of options for scenarios, environmental conditions, crew, and campaigns, players can tailor games to match their own visions for an anarchic future.